With its fairytale landscape and unique combination of Mediterranean sun and the snowy Alps, Slovenia makes for a wonderful year-round destination. 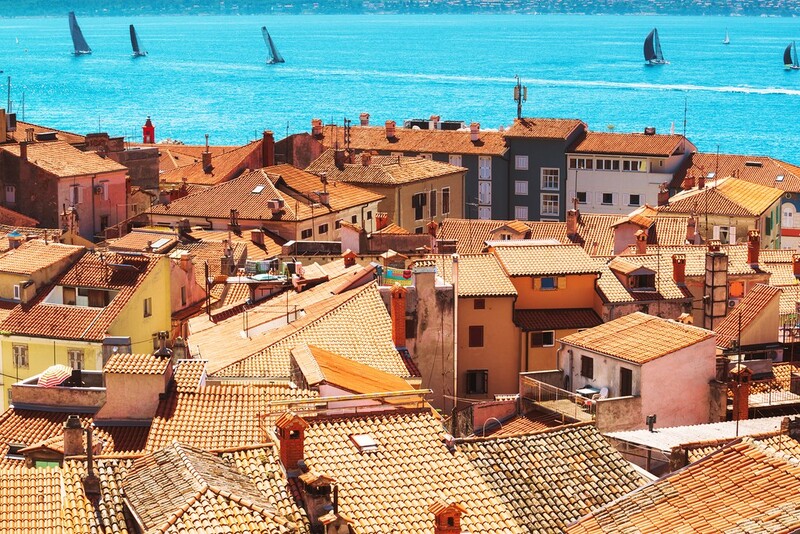 Summer is the busiest time to visit, but it's also when you can take full advantage of Slovenia's lovely lakes, rivers, and Adriatic coastline. 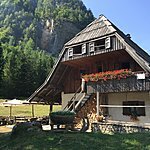 Autumn brings stunning foliage and moderate temperatures perfect for hiking (and here's more information on when to visit the Slovenian Alps, a hiker's heaven). The colder months are snowy and frigid, bringing avid skiers to the mountains in droves. But if you really want to beat the crowds, go in spring - it's by far the quietest time of year to explore Slovenia's natural wonders and medieval castles. 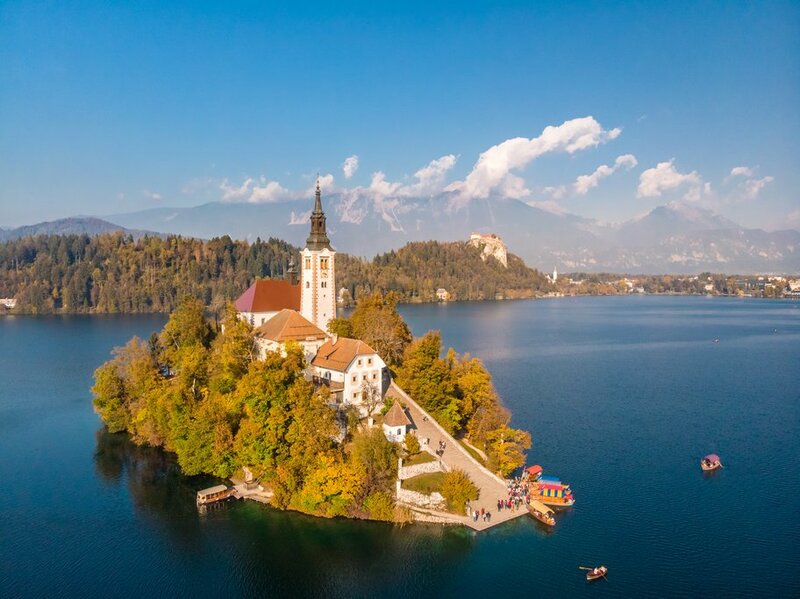 June through August is by far the most popular season to visit Slovenia, though it's still relatively uncrowded compared to other Mediterranean locales. Ljubljana comes alive during the summer months, when locals flock to outdoor cafes and have picnics in the parks or by the Ljubljanica River. It's also the perfect time to go swimming in Lake Bled, explore waterfalls, or go rafting on the emerald-green Soca River. In fact, the entire Soca Valley is perfect for adventure sports like canyoning, kayaking, and ziplining. 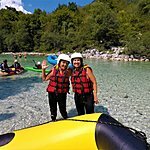 Hotels fill up fast in the Bled and Lake Bohinj areas, the capital and in coastal cities like Piran this time of year, so be sure to book well ahead. Temperatures can reach the upper 80s in many areas, and while most of the summer is pleasantly sunny and somewhat humid, be prepared for occasional rain and thunderstorms. The northern alpine region stays cooler and more comfortable, making for the perfect scenic escape from the city heat. The fall foliage in Slovenia is beautiful enough to rival that of New England, making the already stunning scenery pop even more. The spectacular larch trees in the mountains are especially vibrant in hues of red, yellow, and orange. Prices start to go down in the fall, as the temperatures cool and crowds taper off. It's still warm enough to swim in September, but October brings the crisp autumn air and morning fog. 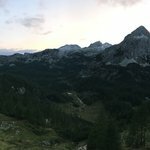 Early to mid-fall the ideal time to go hiking in places like Triglav National Park (one of the best places to visit in Slovenia) or to go on a wine tour of western Slovenia's fantastic vineyards during the harvest season. Although the days are shorter, there's still plenty to do and see in Ljubljana, and it's a great time to visit some of Slovenia's many medieval castles without the long lines. Slovenia becomes a winter wonderland from December to March, with crowds spiking during the holidays. While some attractions in the smaller towns may have limited hours or be closed for the season, the real draw in winter is the skiing. 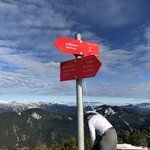 Slovenia has tons of wonderful ski resorts in the Julian Alps that give the more expensive and extravagant resorts elsewhere in Europe a run for their money. There's still a lot to do if you don't ski. Daytime temperatures can dip down to freezing or below, and the ground is covered in snow for much of the season. But this makes for excellent sledding, snowshoeing, or ice skating. Winter is also a great time to visit Slovenia's many caves. They maintain a consistent interior temperature and most are open to the public year-round. The Christmas markets in Ljubljana are charming, and don't rule out a trip to the picturesque towns on the coast where the winter weather is much milder. It's not yet warm enough to swim, and no longer cold enough to ski, but spring in Slovenia is the best time to visit if you want to avoid crowds entirely. The weather from March to May can be somewhat unpredictable, and early spring can be especially rainy. But by May, the weather is mild and perfect for outdoor adventures. The snowmelt makes whitewater rafting a great option at this time, or find peace and quiet on the hiking trails. Ride a bike through majestic green valleys with wildflowers in full bloom, or wander around the streets of Ljubljana. Many of the attractions closed for the winter will be open by late spring, such as the caves beneath the must-see Predjama Castle, but prices won't go up until mid-June. 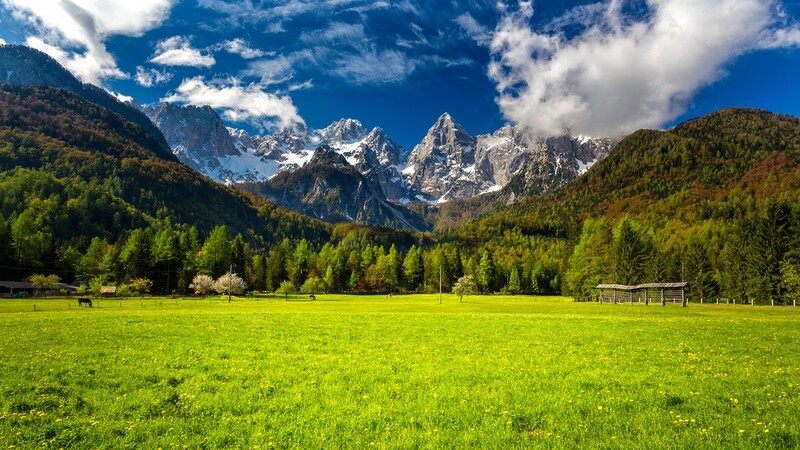 For a country the size of New Jersey, Slovenia has an incredibly varied climate in three distinct zones - something to keep in mind when planning activities for your vacation. 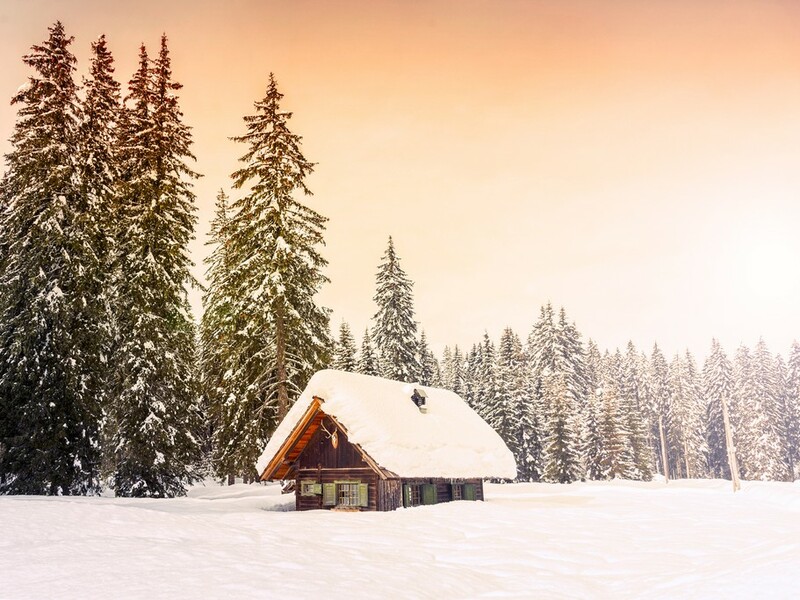 You'll find a moderate alpine climate in the northern mountains, with longer, colder winters than the rest of the country. Summers do get warm, however, and offer slightly cooler temperatures as an escape from the summer heat elsewhere. The interior lowlands (including Ljubljana) have a continental climate, with hot summers and cold winters. To the west, you'll enjoy sunny sub-Mediterranean weather by the coast, with mild, comfortable winters. While there is plenty to keep you busy year round, and the best time to go really depends on which activities you'd like to do and your weather preferences. Lake Bled tops most people's lists of must-see sites in Slovenia, and is accessible at any time of year. If you're not a skier, you'll definitely have more options to choose from April through October, as some of the mountain passes and attractions will be closed for the winter. 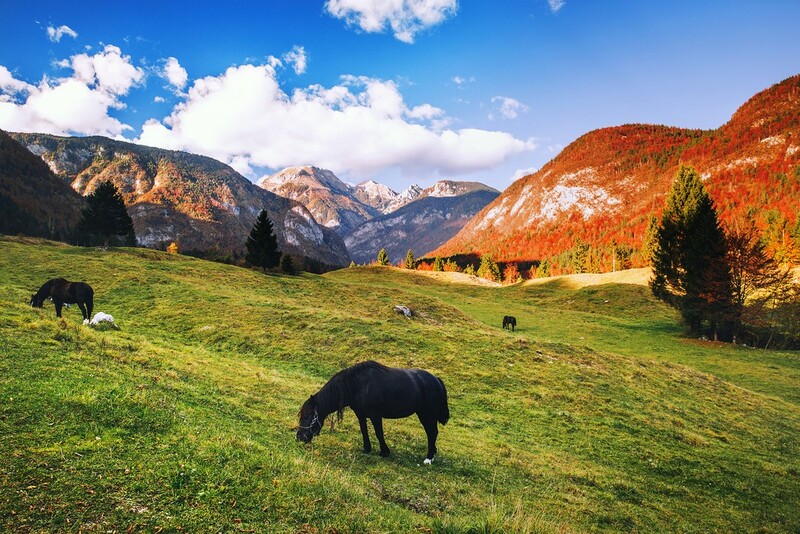 But with Slovenia's diverse climates and copious attractions packed into a small area, you're guaranteed to enjoy your time there no matter the weather.